Being able to “cross the pond” is an important milestone for any genealogist. Once you’ve made that leap, though, sometimes it’s difficult to know where to turn for the next segment of research. 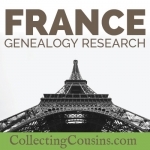 Below under Recent Posts you’ll find my latest article about the basics of archive research in France; if you have French relatives, let me know how you are doing on your research and if you have anything to add. Are you leaving a legacy for your descendents? Your Story is a 50+ page download with over a dozen topics and fill-in pages to help you record your personal story for your children and grandchildren. 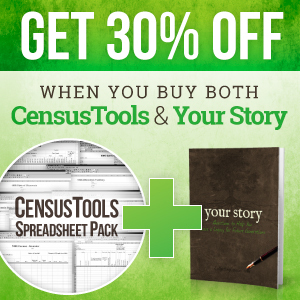 When you buy both Your Story and our CensusTools genealogy spreadsheets, you get 30% off automatically! CensusTools are quality tools to electronically record, preserve and archive family history data. You can download the 1940 census spreadsheets for free at the below link. 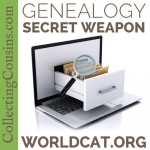 If you like it, I think you’ll find the entire pack of 40 spreadsheets a welcome addition to your genealogy toolbox. With more records coming online all over the world, genealogists have access to an unprecedented number of resources without having to leave home. Sometimes, though, the websites hosting the records are not in English. Fortunately, Google has an app for that. Google Translate can be accessed through your browser or through their mobile apps. I prefer using the broswer version for research – just input the URL of a page you want translated, then click the link that comes up in the box on the right. The page will be rendered in English (or whichever language you choose). Pages resulting from any links that you click on that page will also render in English. Of course the records will still be in the original language, but finding them is much easier when you can read the website’s instructions and collection information. FamilySearch knows genealogy, and what better place to learn about records and repositories than the FamilySearch Learning Center? With hundreds of courses covering all skill levels, it’s a great place to look when you aren’t sure where to turn next. Courses are in several different formats (most are video) and cover over a dozen subject languages. From their 5 Minute Quickstart Guide to the advanced topic U.S. Measurement and Distribution of Public Land States, there are courses covering and a wide variety of topics and places.